Please enter your email below to receive a new password. 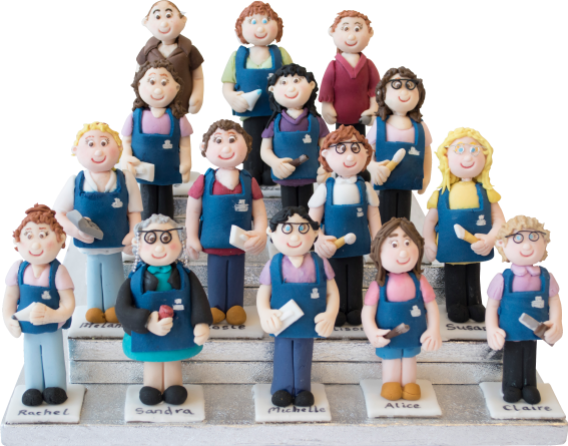 At Sugar & Ice we pride ourselves on bringing together the best cake decorators in Leicestershire so that we are able to make amazing cakes each and every day, you can meet our wonderful team here. How did you get into cake decorating? I got into cake decorating when my siblings were small and I wanted to surprise them with a homemade cake (it was a football pitch with green coconut grass, chocolate finger fencing, and borrowed Subbuteo men – now you know how old they are!!). 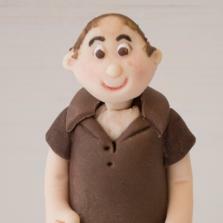 When I created my first commissioned cake I disliked it so much that I kept hiding it at the venue, I was 13 and it was a christening cake, I’m pleased to say that I’ve improved greatly since then and we all have to start somewhere! What is your favourite flavour cake? What is your favourite style of cake? 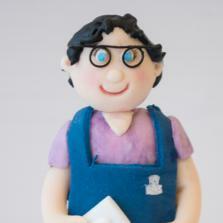 I really like a mix between classic styles and the quirky novelty cakes its great seeing people’s faces when they come into collect something we’ve made. What new products are you looking forward to seeing / using? As I receive all the trade catalogues first, I get very excited about the new products on the market and get frustrated when we can’t get them in quick enough. 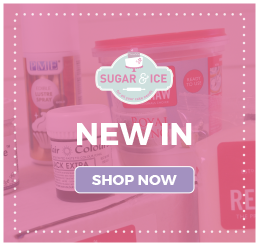 I know we have some fantastic ranges coming in soon such as new candles and a variety of flavourings. What do you enjoy doing most at work? 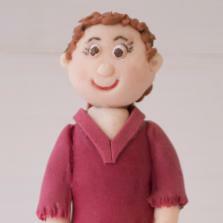 I love making the sugar models and the novelty cakes. But I really love being able to work in a store with so many lovely customers and a great team which means it hardly feels like work at all! When our children were young, I would make sugar cookies for them, which then grew into a love for all things made from sugar! 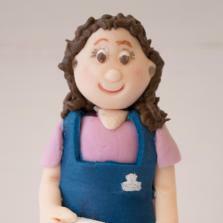 Having more time on my hands when my special needs son left school, I spent it making cakes. 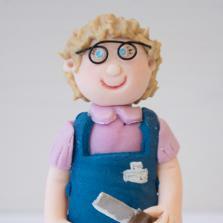 I love cakes and enjoy making people smile with my creations. Experimenting with different cake decorating techniques like painting cakes. 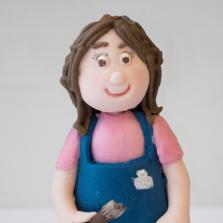 Making my daughter’s birthday cakes, my mum had always made mine and I wanted to carry on the tradition. Whole cake stencils, some of the effects are amazing!! I’ve never actually used a stencil! 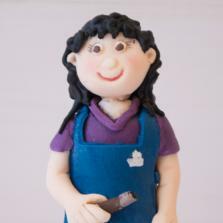 Taking customer cake orders – helping them to decide upon and create a really personalised cake for the recipient. 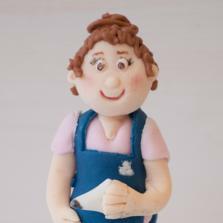 I got into cake decorating with my mum a few years ago, it has been passed down the family as my great grandad used to make cakes as well. Finding out about new products first! I can't wait to try them out. Rather like the new alphabet plunger cutters lower and upper case, they make life easy for people who can’t or don’t want to pipe. Coconut, or lemon, or lemon and coconut… Or if it comes with a cup of tea then any flavour is good!! Anything sparkly or shiny! 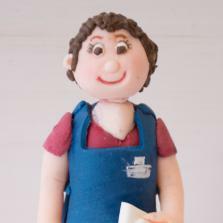 Novelty cakes with lots of detail and intricate modelling. I like the new ‘sprinkletti’ so look forward to seeing more colour contributions in that range. 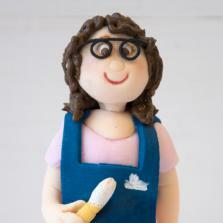 Novelty cakes and making models are the things I most enjoy doing. It’s lovely talking to the customers and being able to help them and give them confidence in what they’re doing and to see the results afterwards. Inspired by my mother, so I’ve baked since I was a small child and would bake and decorate for family members. 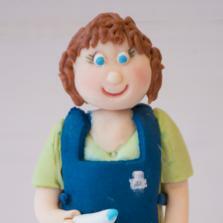 Making decorations, I enjoy the process of transforming an iced cake into a creation that makes people smile. Started making cupcakes for my kids and progressed to family and friends, then eventually to bigger cakes. Carrot Cake! 5 slices = 5 a day right?! 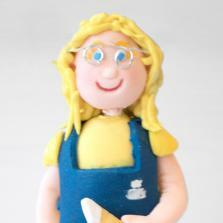 I used to love making cakes with my grandma, it was so facinating and lots of fun, I enjoy making cakes and surpsing people. 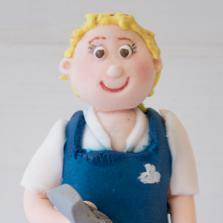 I enjoy helping customers in the best way I can and seeing all the amazing cakes being created. 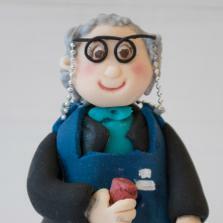 I was introduced to cake decorating when I married my wife Debbie! Being shown all the photos of the brilliant cakes the teams in the shops are making! 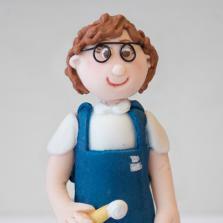 I grew up surrounded by cake decorators, so it’s definitely in my blood now. Death by chocolate with more chocolate! –although I like all the flavours we sell they’re so tasty! Working on this website project! It’s been great fun, I also love sharing photos and videos with our customers.